“In the midst of life we are in death. Earth to earth, ashes to ashes, dust to dust,” is a line often quoted during funeral services. Although it is not a quote from the Bible, but from the Anglican prayer book, it is a true statement of fact. A fact we tend to overlook and forget until a disaster strikes like the current death and destruction in earthquake devastated Nepal. The number of dead bodies recovered keeps climbing, has passed 5,000 and may reach 10,000. Another 10,000 are known to be injured. Half a million people have lost their homes. 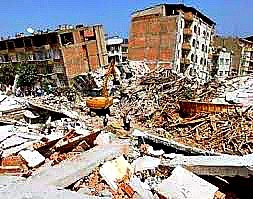 Who knows how many dead or injured are still buried under the hundreds of collapsed buildings. Who knows how many thousands of injured will still die in the makeshift hospitals or first aid stations. We don’t need to know the numbers to realize tens of thousands of families are suffering and in desperate need. I’m writing this in the safety and comfort of our home 11,000 kilometres from Nepal. I look out my study window and see a faint tinge of green in the tops of some trees, and grass is beginning to sprout in some places on the ground. Spring is here and all is well. You may be reading this in similar pleasant and safe circumstances. What about us? What is our responsibility as followers of Jesus in the face of this distant but, nonetheless, real disaster? As soon as I read the news on my computer, I prayed that those who were suffering and dying would sense God’s presence. 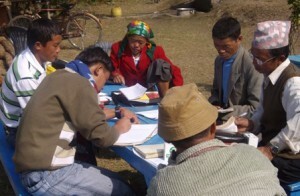 I prayed that Nepalese Christian believers would take the opportunity to minister to others. I started to pray that people in non-affected areas would send help, but then stopped short, and sent an online donation to a disaster relief organization working in the area. Then I finished my prayer for others to do the same. I didn’t send a large amount, you know how it is around tax time, but if every Christian family in Canada sent what I did, it would make a very significant amount. And then another thought crept into my mind. A death toll climbing to possibly 10,000 is terrible to imagine, particularly in these devastating circumstances. But even here in relatively safe North America, “in the midst of life we are in death.” The number of people in North America dying each year in vehicle accidents is far greater than the number who died in Nepal this week—more than three times greater. Car crashes kill 35,000 people every year. These deaths also cause much collateral suffering. Those who die are fathers, husbands, mothers, wives, siblings, and children. Survivors of car crashes are sometimes severely injured, with lifetime disabilities. Even the family members who were not directly involved in the accident sometimes lose their home, can’t finish their education, or in other ways suffer the destruction of their plans for the future. We, as believers, have a responsibility to these people too. To pray and to help in whatever way we can. And if, or when, this kind of disaster hits our own family, to turn instantly to God and look to Him for help, for comfort, and for guidance for the future. One more thought about death. In North America, 2,700 babies are murdered every day through abortion at various stages of pregnancy. That’s one million per year. During the late 1970s and early 1980s the abortion rate was nearly double what it is now. Had these multi-millions of babies lived, they would be in their late thirties or early forties right now. Would one of them have discovered the cure for cancer? Or for ebola, diabetes, lupus, mad cow disease, HIV/AIDS? Or even influenza or the common cold? This ongoing, manmade disaster requires a response from us too. Millions of women who thought an abortion was the easiest way out of a dilemma, but now wish they had not let the doctor kill their babies. They now need comfort, love, and kindness from us as they grieve their loss, and forgiveness from God that He is quick to give to those who ask. The focus of this column is on our Christian responsibility to bring relief to disasters. But we also have a responsibility to help prevent disasters. Provide better, stronger housing in less dangerous areas, promote safer driving habits, and for women planning the death of their babies, provide loving counselling on life oriented, alternate options. As a young Christian teenager, one thing about God was crystal clear to me—He is poor and so are His kids. The church my family attended in the mid-1950s had no rich people. Everyone did things cheaply. Linoleum instead of carpeting, Painted walls instead of paneling. The congregation drove old used cars. 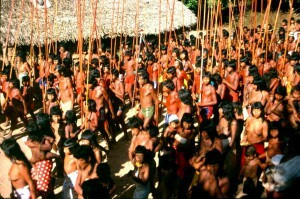 Missionaries were sent out with minimal support. And pastors? Well, in the early 1960s when I became a pastor myself, we received nominal housing, and a salary that was less than adequate. As the babies came, Jo skimped and scrimped while I sold books door-to-door, drove a school bus twice a day, and was on call to drive taxi and ambulance. When we joined Wycliffe, we left for Brazil with only 40% of our recommended financial support promised. And that’s what we lived, or tried to, in our first term. The only new thing we owned was a tape recorder. Yes, it was obvious to us, God was poor. Much later, I wondered where that poverty mentality came from: The economic depression in the 1930s? The scarcity during World War 2 in the 1940s? An overdeveloped sense of needing to be good money managers? Was money considered evil and Christians should have as little to do with it as possible? Nowhere in the doctrinal statement of my denomination was there a hint of God being poor. Our church prided itself in preaching and teaching the Bible, so why did it fail to teach the biblical view of God as our generous Provider? The point is usually that we should evangelize neighbours and friends who may not know God. There is however another most relevant application. Did you know that Canada is one of only three countries, (the other two being China and North Korea), where it is legal for a woman to kill the baby in her womb at any time during the pregnancy, right up to the time it is being born? Tens of thousands of helpless babies are slaughtered in Canada every year, an average of 250 per day. Every year, ninety-thousand Canadian women are left spiritually damaged, and emotionally scarred for life. Yet churches seem to be quite willing to stay on the sidelines and let organizations like The Wilberforce Project fight the political battle. We have heard, and I have preached, sermons on tithing: giving ten percent of our income to God’s work both at home and around the world. Abraham, our father in faith, tithed hundreds of years before God enshrined the concept in the Jewish law. But I’ve met many Christians who sincerely believe that if they give ten percent to God, they can spend the ninety percent totally on themselves. God has no further claim on their income. I’m sure no denomination’s doctrinal statement says that, yet many Christians live as if this was biblically sound theology. The Bible clearly teaches that everything on earth belongs, not to us, but to God. “The earth is the Lord’s, and everything in it, the world, and all who live in it” Psalm 24:1 (NIV). God is the One who helps people create wealth. “You may say to yourself, ‘My power and the strength of my hands have produced this wealth for me.’ But remember the Lord your God, for it is He who gives you the ability to produce wealth” Deuteronomy 8:17-18 (NIV). Everything we own belongs to God, but how many of us actually live out this truth? Churches tend to take a weak political stand against rampant baby killing. Statistics on giving by Christians indicate that churches avoid strong teaching on our being managers, not owners of the money we earn. These are two unbiblical beliefs and behaviors I have noticed. How about you? Have you seen or experienced any? P.S. Don’t forget to read the story The Almighty and the Dollar. Every religious person in Palestine desperately wanted the Promised One—the Messiah—to arrive, set up His Kingdom, chase out the Roman oppressors, and spread prosperity throughout the land. All the Jews, leaders and followers alike, focused on the prophecies of the coming powerful King and totally ignored, or interpreted away anything about His suffering and dying and the resurrection. Wait! What? No kingdom? No sitting on thrones reigning with Jesus? After three years of traipsing up and down Palestine, now we have to trudge to the ends of the earth? Even though the disciples had heard all the prophecies about the non-Jews being reached, it still took months before they finally began to understand and act on what Jesus had told them. And it was fifteen years before Paul was finally sent off on his first missionary journey to the non-Jews. We read the story, with the hindsight of nearly two-thousand years, and shake our heads, wondering how those Jews could be so dumb, not to understand the prophecies in the Old Testament. Right! But what about us? 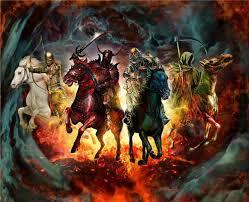 I grew up in an evangelical church that majored in teaching prophecy of the end times. It was all there—every event, every time period—from the visions of Daniel to the scenes in Revelation—was neatly explained, categorized and plotted chronologically in charts ten to twenty feet long. The older I get and the more I read the Bible, the more doubts I have about the accuracy of our theology of the end times. Most preachers, authors, and bloggers are looking forward to something they strongly desire. We listen, read, and form opinions, but . . . . Are we like those ancient Jews who were fixated on an earthly kingdom right there and then? What are we skipping over, ignoring or explaining away? All our adult lives Jo and I have been going flat out, serving God in many different ways—raising a family that loves Jesus, and working with Wycliffe in various aspects of Bible translation for fifty years. What Does It Take to Satisfy God? Hundreds of teams like these are translating Scriptures into their own language. Starting with a handful of American linguists in the 1930s, today more than 10,000 workers are focused on linguistics, literacy and Bible translation around the world. About 7,500 of these workers are European or North and South American, the other 2,500 are African, Asian, or Pacific Islanders. So what are the results? Of the world’s nearly 7,000 living languages, about 1,300 have a New Testament or other major portions of Scripture translated into their language. About 2,200 languages have Bible translation work in progress. God is blessing and prospering His work. In the last fifteen years alone, 1,100 new Bible translation projects were started. A small percentage of the total world population, 180 million people, speaking 1,900 languages, are still waiting for a project to begin. As a veteran Bible translator, this progress excites me. But I need to remember that cross-cultural foreign missions and Bible translation did not start with Wycliffe’s founder Uncle CameronTownsend in the 1930s. Worldwide missions didn’t start with Hudson Taylor’s passion for China in the mid 1800s, nor with WilliamCarey going to India in the late 1700s. It didn’t start with the apostle Paul’s missionary travels to Asia and Europe. It didn’t start with the arrival of the Holy Spirit in Jerusalem at Pentecost when foreigners from many nations heard the Good News in their own languages. Foreign missions didn’t even start on that mountain in Galilee when Jesus gave the disciples the Great Commission to evangelise the world and disciple the nations. Nor did foreign missions start with the Jewish national exile to Babylon, or with Jonah, the reluctant missionary to Nineveh. It didn’t start with Solomon’s dedication prayer at the temple when he asked God to hear and answer the foreigner who came from far to pray at the temple. It didn’t start during David’s reign when he wrote song after song telling all the peoples of the earth to worship God. It didn’t even start with Abraham when God promised that through him, and his seed, all the nations of the earth would be blessed. And no, it didn’t start after Adam’s disobedience when God promised that Satan would someday be crushed. Foreign missions started in the great heart of God long before He made the earth and created Adam. Right from the beginning of time, God wanted every human being that was ever to live on earth to know Him. I remember talking about this to a small audience of mature Christians in a major church. I then asked them, “But why does God want people to know Him?” I received a wide variety of answers. Acting like a two-year old child, I kept asking, “But why?” and got an answer that was close. “God wants to save us from our sins.” Right! But why? “He’s a God of love and wants us in heaven forever.” But why? “So we can worship Him in Spirit and in Truth forever.” Right! Almighty God wants everyone to enthusiastically admire Him, deeply respect Him, tell Him over and over again how great, how powerful, and how perfect He is. The time is coming when we will all obey the first of the Ten Commandments in the way God Himself obeys it: to love and worship the Lord God and Him alone. At last we will delight in God’s perfection in the same way He delights in His own perfection. Ultimately, Wycliffe and all missions are not about people at all, they are about God: God who is to be freely and exuberantly worshipped in thought and word, in song and deed, in life and death. What about those 1,900 languages without any of God’s Word yet translated into them. Do any of those 180 million speakers know God? Wycliffe and the work of Bible translation must continue to grow until God is praised and worshiped in everyone of those languages. Remember the story of the ninety-nine sheep safely in the fold and the shepherd going out to find the one lost sheep? I suspect that God will not be satisfied until He hears people from every single language on earth worshiping Him. After our factory built home was moved into place, the deer whose territory we had suddenly invaded, gave it a wide berth for several weeks. Eventually, however, they understood the house would do them no harm, and they made the wise decision to use the trails again, even though some led right past the house. Like our deer, we human beings also tend to fear what we do not understand. New ideas, new gadgets, and new situations seem chaotic and confusing, they frighten and bewilder us. Unless we process this chaos properly, our fears will drive us to reject the new things, and even criticise those who use them. 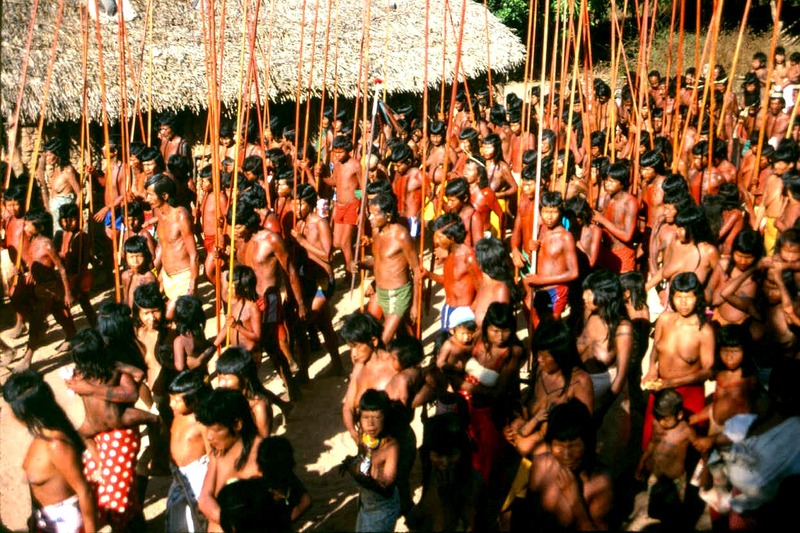 When my wife and I began living among the Canela people of Brazil, we couldn’t understand a single word coming from the mouths of dozens of excited Canelas surrounding us. It was chaotic! How could we ever understand and relate wisely with these people? Our training, however, had prepared us to step-by-step turn Chaos into Wisdom. We jotted down the vowel sounds we heard, the same with consonants, greetings, and people’s names. We pointed at things like eye, ear, nose, grass, stone, stick, hit, throw, drink, sit, etc. and wrote down the sounds the people responded with. In that way we turned the Chaos of sound into Data, that is facts, and bits of truth. We sorted this Data: the vowels and consonants into charts, the nouns and verbs into separate lists, eventually developing a full dictionary. We compared, tested, and described how words were used in a meaningful context, thereby turning raw Data into useful grammatical and linguistic Information. “How does this Information fit into the total culture,” we asked ourselves. We learned about the Canelas’ kinship system and how they addressed relatives. We found out what Canelas believed about spiritual realities, how they treated disease, what they were afraid of, what their goals and aspirations were, and what they thought about God. As we gained a fuller understanding of how Canelas thought and lived we turned Information into useful Knowledge. Before we could translate God’s Word into Canela, we needed to turn Knowledge into Wisdom. That is, we needed to apply our current Knowledge of the Canela culture and language to making wise decisions in translation. We naturally depended on our Information filled dictionary and grammar descriptions, our knowledge of the culture, and the feel we had for fluency in the language. The translation helpers we had trained did much work during this stage. But beyond that, we leaned on our gut feelings, our instincts, and the leading of the Holy Spirit, to make final wise decisions. A Christian young man, working as a computer programmer, wants to get involved in meeting the spiritual and physical needs of people in third-world countries. He prays and wants to give regularly from his income, but is bewildered by the Chaos of numerous organizations and individuals, all asking for his financial help. He turns this Chaos into Data by gathering facts about the organizations and the individuals. He processes the Data into Information by sorting them into categories: what they do, where they work, if they are denominational or independent, etc. Based on the Knowledge he has acquired he prays for God’s Holy Spirit to lead him and testing his own spirit in this Wisdom decides to financially support a family he knows that is involved in developing computer programs to use in Bible translation. When we are faced with a Chaotic life situation, let’s not be afraid of what we don’t understand and simply reject it. Instead, let’s be godly (God-like) and turn the Chaos into Wise Actions as He did at Creation. Deer do it by instinct, we can do it by design.